After graduating from the University of Virginia with a degree in anthropology, Tia Butler ‘94 worked in public relations before returning to school to complete a master’s degree in Human & Organizational Learning at The George Washington University. After graduating, she joined the Department of the Navy. 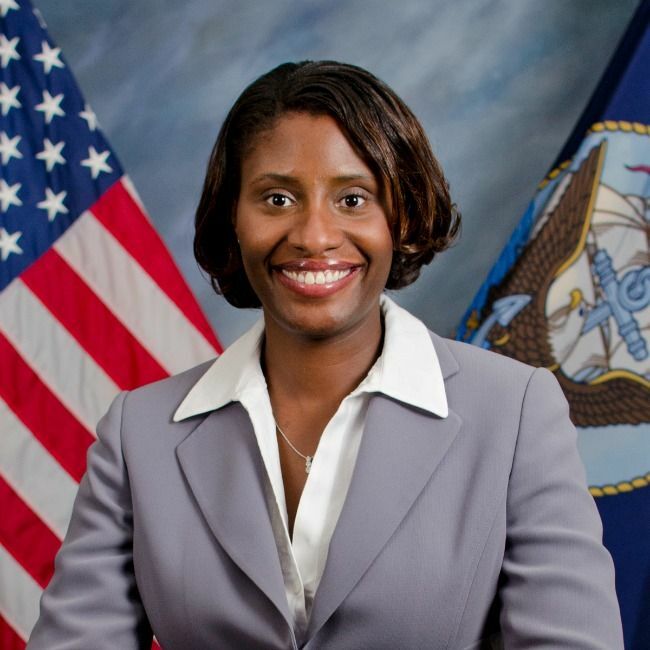 As the Director of the Executive Management Program Office in the Office of Civilian Human Resources, Butler oversees staffing for the nearly 400 executives across the Department of the Navy. She has served on the Alumnae Board at Bryn Mawr and is the chair of her 20th reunion committee. My interest in the field of human resources stems from my interest in anthropology, which is the study of people and cultures. Working in the Department of the Navy, I am in a predominantly male environment, which has given me a new perspective for the opportunity I had at Bryn Mawr to learn with women. I have such an appreciation for how it shaped the way I think, my opinions and the way that I perceive different situations. There is a confidence that you learn at Bryn Mawr, just by being there. I was not distracted by silly things like what I was wearing or what my hair looked like, and that meant that I was at full liberty to focus on the reason I was there, which was to get a great education. One of the biggest surprises I have encountered working with the Department of the Navy has been discovering the amazing work happening here, work that I think most Americans do not realize is being done by the Navy. For example, many of us use GPS, and the technology that is the foundation for GPS was developed by researchers at the Naval Research Laboratory. There are more than 200,000 civilians serving in the Department of the Navy, and they are doing incredible work. My time with the Alumnae Board was very rewarding. It was wonderful to reconnect with my classmates and to meet alumnae from other classes. I encourage anyone who wants to reengage with Bryn Mawr to get involved with the board. There are plenty of opportunities for board members to come up with and implement new ideas to engage more Bryn Mawr alumnae. One of the projects that I worked on with the Alumnae Board was the creation of the community service initiative “Serve Where You Are, Bryn Mawr.” The idea was to create ways for alumnae to socialize while also serving others — and not just serving at Bryn Mawr or in Baltimore, but in their own communities. I can’t take sole credit for the catchy name; the idea for that came up during a conversation with Kindle Samuel Barkus ‘94, one of my classmates who lives on the West Coast. I started by reaching out to classmates who live in other areas and asking them to serve as ambassadors or planners for events in their cities. So far we have held service events in a few different cities, and I think that overall they have been successful. I am hoping that our class will hold an event together during our 20th reunion this year. Now that I am the mother of an eight-year-old daughter, I have a new appreciation and respect for my parents for giving me the opportunity to go to Bryn Mawr. I am so grateful to all of the teachers who invested the time and effort to guide and shape me in a variety of ways. My experience at Bryn Mawr set the bar for the kind of education that I want my daughter to receive.